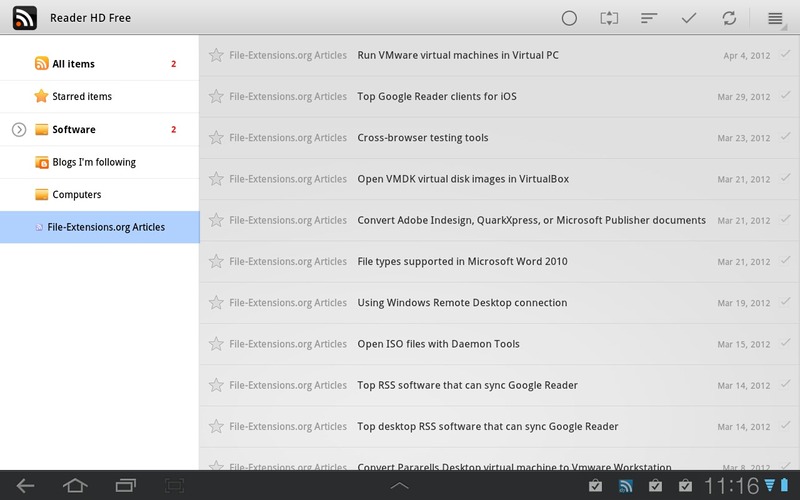 Reader HD is just another Googe Reader client optimized for Honeycomb/ICS tablets. The user interface is inspired by Gmail for Honeycomb/ICS and Google Reader web version. It is simple, clean, and clear but full featured. If you need more information please contact the developers of Reader HD (Age of Mobile), or check out their product website.